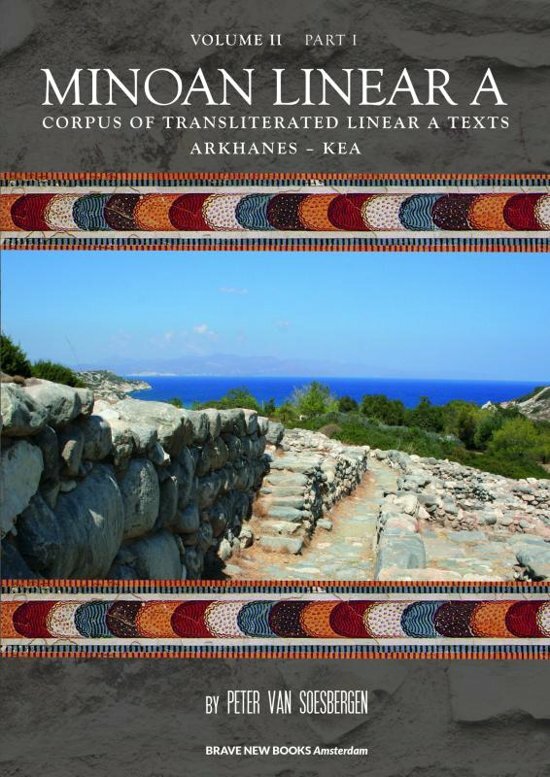 MINOAN LINEAR A, VOLUME II: CORPUS OF TRANSLITERATED LINEAR A TEXTS, PART 1: ARKHANES – KEA. D.W. Packard proved in several publications (1967 -1974) that use of the Ventris's values of signs with graphic identity in Linear A and B showed a ratio of confirmatory alternations of just over 2 : 1 within Linear A in favour of decipherment by the Ventris's values over the average result of nine fictitious decipherments. M. Pope and J. Raison, ‘Linear A: Changing perspectives’ (Études minoennes I, 1978), found that Packard’s results were even better (3 : 1), if they were adjusted for context. Likewise, comparing Linear A with Linear B, the ratio of confirmatory alternations is just over 3 : 1 in favour of decipherment by the Ventris's values, and more important: if the Linear A matches with Linear B from Knossos are separated from those from the mainland, the ratio is 5 : 1 for Knossos and 4 : 3 for the mainland. These results are so encouraging that a (provisional) transliteration of Linear A texts with Linear B values appears justifiable. The author hopes that the present volume will contribute to Linear A scholarship and linguistic research.